123 Kids Expo was founded by Kaisha Lee A Ping-Alfred, CEO of Trendy Trade Show Company, after she got tired of having to "hunt around" for affordable, quality products and services for her children. 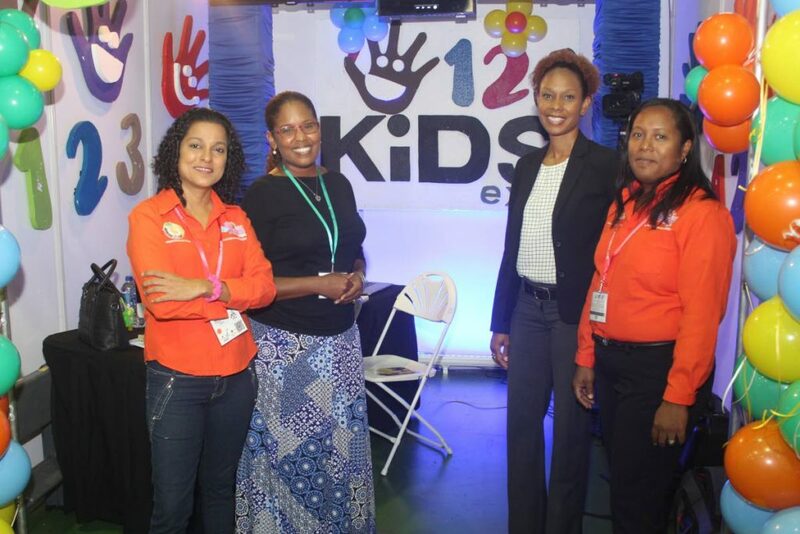 Described as a marketplace for all things children and teens, the first 123 Kids Expo was held in October 2017 at the Centre of Excellence, Macoya. Events included parenting workshops, self-defense classes, a supervised play area, nursing station, entertainment and financial planning advice. 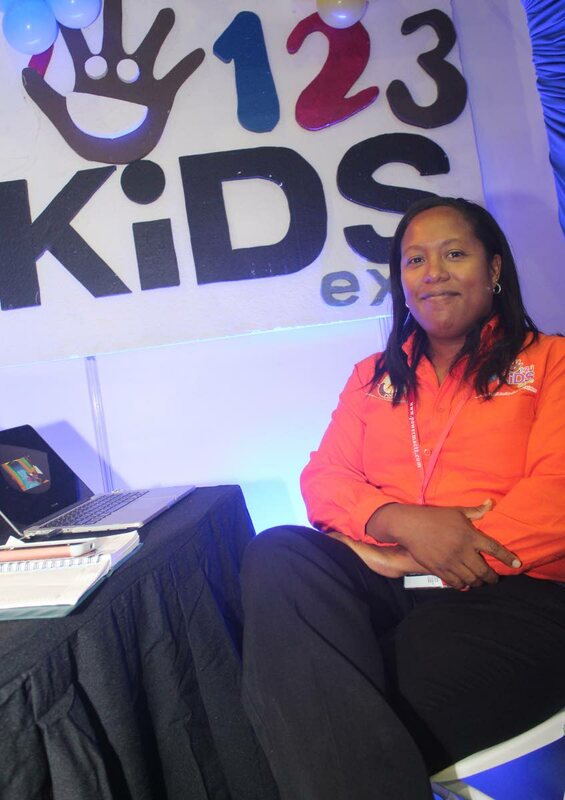 Although it received positive feedback from exhibitors and visitors, the 123 Kids Expo team did not meet their admittedly ambitious goals for the inaugural edition. Lee A Ping-Alfred told Business Day the goal was more than 60 exhibitors and 5,000 visitors, but the reality was 17 exhibitors, three food vendors and over 600 visitors during the three-day event. "One of the lessons we learned was the importance of publicising your event very early to get the participation and attendance you want. We promoted the expo with interviews, on social media and we set up a website – www.123kidsexpo.com – but we started doing that about two months before the actual event. Seeking to make future editions bigger and better, Lee A Ping-Alfred and her team had a booth at this year's Trade and Investment Convention (TIC), held at Centre of Excellence, Macoya from July 5-8. TIC is hosted by the TT Manufacturers' Association (TTMA). That's where Business Day spoke with the businesswoman about the second edition of 123 Kids Expo, scheduled to take place from April 13-14, 2019 at the same venue. "This is our first time exhibiting at TIC. When we came as visitors last year, we realised how many opportunities there are for networking, especially via the business-to-business meetings the TTMA arranges for exhibitors. Plus an estimated 15,000 people (were) expected to visit TIC this year, so we decided to pay for a booth. "We want to hold our expo every April – the same way TIC is held every July and people mark it in their calendars – so we're not having one this year. For us, being at TIC is all about gaining visibility for 123 Kids. Apart from visitors to our booth, we've walked around to the other booths, telling people about our event and encouraging interested people to register at TIC." A 15 per cent discount was given to everyone who registered during TIC to become an exhibitor next year. Lee A Ping-Alfred smiled as she revealed that even before the end of day one of TIC 2018, several people had expressed interest in being part of the 2019 edition of 123 Kids Expo. She was also pleased with meetings with other TIC 2018 participants during the business-to-business days on July 5 and 6. "This is an opportunity to meet people you might not otherwise meet, which is what makes TIC so special." The expo website describes the 2019 event as creating a business forum for the promotion of quality child care products and services to parents and guardians in one location. "In addition, the expo will create a social forum to promote the care, development, and protection of children, through the Child/Parent Support Pavilion. This pavilion will house local NGOs that work with children and families, providing information and educating the public through seminars and workshops," the site stated. * The Maternity and Baby Square Pavilion provides a unique platform for maternity and baby-related products. This pavilion features maternity clothing and lingerie, personal care, vitamins and beauty products along with fashion and accessory items such as diaper bags, nursing products, newborn clothing, slings and covers. *The NGO Pavilion connects NGOs with kids and families while giving support to the public through seminars and interactive workshops. *The Market Place Pavilion is a Parisian-style marketplace that allows exhibitors to connect with attendees in an open and welcoming environment without the restrictions of a finite booth space, walls and drapes. Attendees will be able to move freely and interact with exhibitors featuring different products all at once. *The Kids Zone Pavilion is a hands-on experience in toys, games and recreational products. Attendees meet face-to-face with brands as kids engage in games and activities. *The Education Hub Pavilion focuses on education and the holistic approach. This hub features, among other things, books, educational toys and games science, robotics, Lego and health. *The Toddler and Kids Avenue Pavilion showcases products and services for the toddlers and kids, everything from books and clothing to accessories and even new products. Reply to "123 Kids Expo"